Wait! you say, I have to get through Thanksgiving first! There’s so much to do! At Picniic feel the same way. And, that’s why we’ve packed in some amazing features so you have your own personal assistant with you all the time – to help you cruise the holidays, organized and less stressed. Here’s how you can prepare for Thanksgiving, easy peasy! 1 – Are you using our Calendar feature yet? If not, you should. 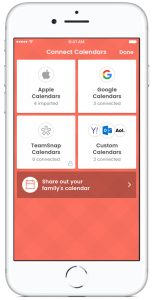 We have created a simple, streamlined, easy-to-use calendar for adding all those Thanksgiving tasks and events on your to-do list. Don’t forget that you can connect your Picniic calendar to any other family or work calendars you may have. You can also share your Picniic calendar with others. 2 – To get you started, check out our Thanksgiving To-Do List. 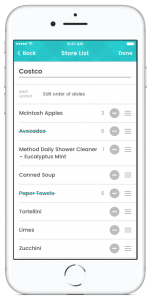 Picniic’s full suite offers several pre-made lists to save your valuable planning time and possibly a headache, too. You can even sync our pre-made lists as well as your custom to-do lists to your calendar so you don’t forget to cross those items off. 3 – Don’t forget to delegate! 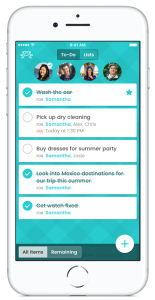 You can make to-do lists for each member of your family to ensure everyone is helping out. Make your guest list and don’t be afraid to ask your guests to contribute. 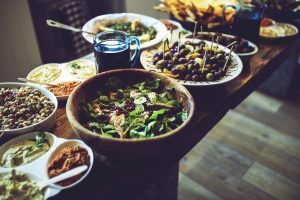 Most people are glad to help out by bringing a side dish, drinks, dessert, or appetizer, especially if you are handling the turkey. When determining your guest list and sending out invitations, find important contact info for relatives through the Contacts section in the Info Locker on Picniic. 4 – Now comes the most exciting part – FOOD! Plan the menu and determine the quantities you need for everything you are serving. Browse our wide list of delectable recipes for inspiration.. It’s simple to search for traditional menu items from trusted sources, like Martha Stewart or Bon Appetit, and add them to your recipe file. Or, add your own traditional family fare with the Write a Recipe feature. 5 – It was easy to decide on that spectacular Mashed Potato and Turnip Gratin recipe to accompany your turkey, but now you need to buy those turnips as well as a host of other items for your feast. No problem, simply click Add to Grocery List on the bottom of each recipe for quick and easy list generation. No writing or math required! Don’t forget to simplify your life with a few pre-made items. You don’t have to make everything from scratch! 6 – Now, back to the To-Do Lists. 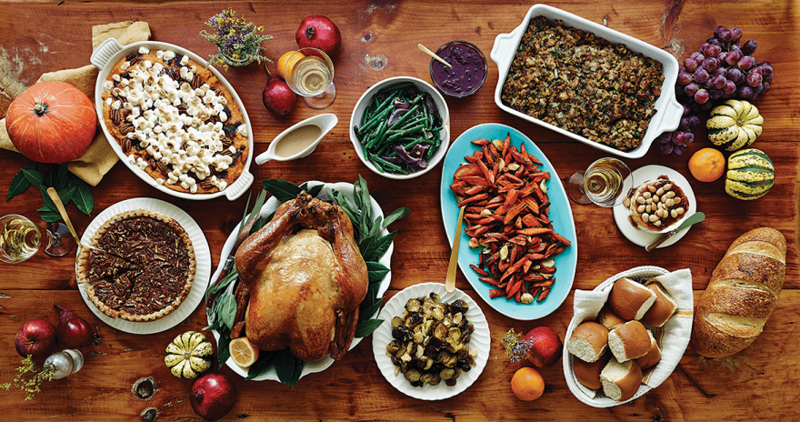 What can you make ahead of time to make Thanksgiving Day easier? Here are our favorite make-ahead ideas. *Pie Dough – Use a food processor for quick and easy dough. Roll it out into circles just the right size for your pans. Layer these discs between parchment paper. Cover with plastic wrap and freezer paper and freeze up to two weeks ahead of time – even earlier if you have a deep-freeze unit. Defrost in the fridge overnight and bake your pies the day before. *Turkey Stock – Buy turkey necks and wings. Roast them and boil up a delicious stock. Store in large Mason jars in the fridge for a few days or make several weeks in advance and freeze in large freezer bags. Turkey stock is a great base for your soups, can add wonderful flavor to many of your side dishes, and is essential for mouth-watering stuffing. *Gravy – Use the turkey stock you just made to prepare plenty of gravy for drowning those meat and potatoes. Freeze until the big day. There is never enough gravy anyway – you need plenty on Thanksgiving Day as well as some to moisten the leftovers on Friday. Make extra! *Brine – If you brine your turkey, prepare this ahead of time. *Spice packets – Measure out all those ½ teaspoons and pinches ahead of time into small jars or plastic bags labelled with the recipe name. 7 – House Preparation – A week prior to Thanksgiving Day is the time to clean your house thoroughly. Set aside time to do this yourself or hire a cleaning service to help you. If everything is well-cleaned several days beforehand, you only need to do a quick pick-up, dust, and vacuum on Wednesday, then spot-clean your bathrooms Thursday morning. 8 – Service Items – Go through the linens, serving pieces, and kitchen tools you will need. Wash and label each piece with a sticky note so you know what will be used where. Buy or borrow things you need. 9 – Wednesday Rush – Prepare as many food items as you can the day before. If it can be made or prepped for cooking the day before, do it! Thaw any frozen items that you will need. Prepare your turkey so it is ready for roasting the next day. 10 – Prepare your tables – At least one week prior, take stock of your dinnerware and decorations. Purchase needed items. Then, set your table the night before. Try to enjoy this final moment before the big day, bringing your vision of a satisfying feast day to life. Use this final quiet moment to reflect on and be grateful for everyone in your life and the unique blessings you have experienced this year. Get some much needed rest and enjoy this uniquely American holiday. Got more cool hacks for Thanksgiving preparation? share your ideas with us in the comments below, we’d love to hear.